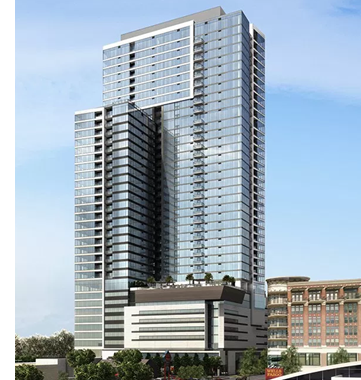 ​​ ​HOUSTON – Construction started on Hanover River Oaks, a 39-story apartment project on a 1.6-acre site on Kirby Dr.
Units will average 1,172 sf. The 370-unit Hanover River Oaks will have 10,000 sf of ground-floor retail. The project is on the west side of Kirby at Steel St., between Westheimer and West Alabama. The project broke ground in December 2017 and the first units are expected to open in first quarter 2020. ​See also: Houston-The Woodlands-Sugar Land Multifamily Market Research.